President Dmitry Medvedev Thursday called on German firms to help Russia modernise its economy as he met Chancellor Angela Merkel to further cement the Moscow-Berlin partnership. "I very much expect that German firms, which have huge experience in this area, will take part in this work," Medvedev told business leaders after talks with Merkel in the Russian Urals city of Yekaterinburg. "Taking into account the strategic partnership in the economic sphere I believe the prospects here are not too bad," Medvedev said, during what is his fifth meeting with Merkel this year. 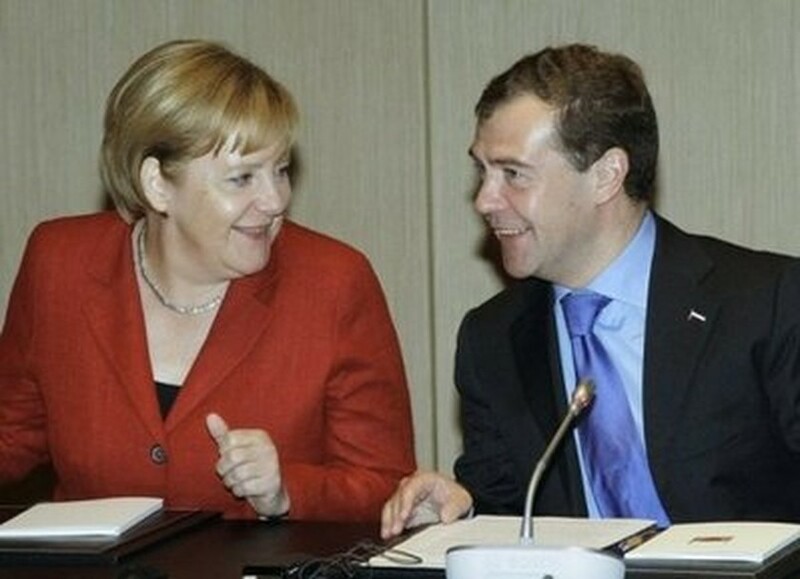 Russian President Dmitry Medvedev (R) speaks with German Chancellor Angela Merkel in Yekaterinburg. Germany is Russia's main economic partner and enjoys close diplomatic relations with Moscow. Medvedev also invited German business people to invest in companies that had until recently been off limits to foreigners. "I expect that German companies will take part in the modernization of companies they are interested in, also taking into account my decision to reduce the number of strategic enterprises," Medvedev said. Last month, Medvedev announced he was cutting fivefold the number of firms deemed "strategic" and in which the state is obliged to own a stake, opening the way for broader participation of foreign companies in the economy. Medvedev also said the Russian government had earmarked 170 billion rubles (5.5 billion dollars) for the establishment of the Skolkovo high-tech hub outside Moscow -- Russia's answer to Silicon Valley. Germany's Siemens was to sign an agreement later Thursday to help Russia develop the Skolkovo technology hub, a Moscow-based company spokesman said this week. Siemens will also sign a contract with Russian Railways and another deal with state conglomerate Russian Technologies and RusHydro utility company. German government sources said the deal with Russian Railways was to be a 2.2-billion-euro (2.8-billion-dollar) order to supply the Russian company with more than 200 trains for its regional network. During the summit Medvedev and Merkel would discuss the setting up of "strategic alliances" between Russian and German companies in railway, aviation and energy industries, the Kremlin said ahead of the bilateral summit. Medvedev this week told Russian diplomats that one of their top tasks was to help businesses forge economic alliances with the West and Germany in particular as the Kremlin seeks to wean the country off oil and gas exports as its main economic motor. Merkel for her part expressed hope that Russia will join the World Trade Organization in the near future and that its fledgling customs union with neighbours Kazakhstan and Belarus would not hinder its WTO talks. Russia, which opened negotiations to join the WTO in 1993, is the largest economy that is still outside the Geneva-based body. Russian officials have repeatedly expressed frustration with the process for accession to the WTO and floated a plan to enter the global trade body as part of a customs bloc with Belarus and Kazakhstan that was formally launched earlier this month. Medvedev assured Merkel that the customs bloc would not stand in the way of the WTO talks, noting progress in Russia's negotiations with the United States. 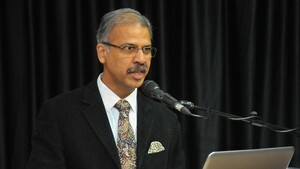 "I hope that the most significant progress in this respect will be made this year," he added. Merkel, who is considerably less cosy with Moscow than was her predecessor Gerhard Schroeder, also raised the case of rights activist Natalya Estemirova, found murdered in the Caucasus one year ago. Merkel described the issue as of "great importance", adding: "In this respect it is important to continue the work to find the truth."